Called Heys Plumbing when I needed a water heater replacement and they were there to install that afternoon. The two installers were professional and courteous and cleaned and prepped the area before installing the new heater. Pricing was competitive. 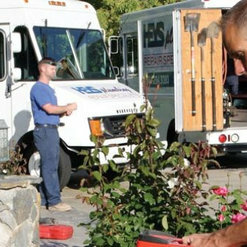 Heys Plumbing is a top notch business. They are professional, clean and prompt. I had them work on my bathrooms and kitchen plumbing. They helped with my remodel. Their prices are rain able and their work reliable. 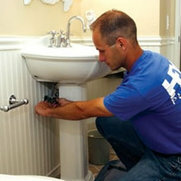 I am so happy with the service I received from Heys Plumbing. Responsible with their cleanup, patient with their explanations, and just all-around great professionals. They are really nice and professional, and don't charge you an arm and a leg. I recommend Heys Plumbing to anyone and everyone! A+ service!